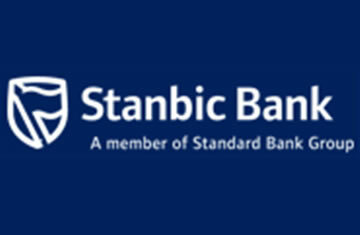 Stanbic Bank Uganda recently announced an increase in private sector credit. The stock of outstanding private sector credit increased by 2.8 per cent to Shs13,336.9 billion in June 2018 from Shs12.979 billion in May, according to the latest performance of the Economy Report published by the Ministry of Finance . The report released for the month of July indicates that the value of loans approved in June 2018 increased by 42.6 per cent to about Shs1.3 trillion from Shs896.5 billion in May 2018. The report attributes the growth in the value of loan approvals partly to reduced risk averseness following reduction in non-performing loans. By sector, trade received the largest share of credit at 23 per cent in the month of June 2018. Other notable recipients of credit were: manufacturing (22 per cent), transport & communication (18 per cent), personal & household loans (11 per cent); building, construction & real estate (10 per cent) and agriculture (10 per cent). However, trade registered the most significant growth (15.67percent) in flow of credit during the month of June 2018. In addition, there was strong growth in credit extended to the manufacturing sector (15.13percent), Transport and Communication sector (11.25percent), and Mining and Quarrying (10.32percent) over the same period. On the other hand, the value of credit extended to community, social and other services declined in June 2018. According to the report, during the month of July 2018, there were two T-Bill auctions and one T-Bond auction in the primary market which raised Shs385 billion, of which Shs203.7 billion was from T-Bills and Shs181.3 billion was from T-bonds. Shs299.3 billion was used for the refinancing of maturing debt whilst Shs85.7 billion went towards financing other activities in the government budget. According to the report, the merchandise trade deficit deteriorated by 44.4 per cent in June 2018 to US $190.7 million from US $132 million recorded in May 2018. The deterioration of the deficit is on account of a decline in the country’s export receipts, coupled with an increase in the import bill. Compared to June 2017, the merchandise trade deficit widened by 21.5 percent to USD190.7 million in June 2018 from USD 156.9 million in May. That report shows that merchandise export earnings increased on an annual basis but declined on a monthly basis as the total value of exports in June declined by 7.9 per cent to US $296.33 million from US $321.58 million recorded in May 2018. The report attributes the decline in exports mainly to the fall in the value of gold, maize, beans, base metals and coffee following a drop in their respective volumes save for coffee who drop in value is a result of the drop in the international market. However, compared to June 2017, export receipts grew by 6.7percent to US $296.33 million in June 2018 from US $277.63 million. And the report attributes the rise to mainly the higher earnings of gold, tea, maize, beans, fish and its products. Nevertheless, coffee earnings fell by 32.3 per cent following a drop in both its volume and the international coffee prices while coffee volumes fell by 25.6 per cent whereas the price declined by 8.9 per cent. Cumulatively, coffee exports for FY 2017/18 totalled 4,458,558 (60 kg) bags worth US $492.47 million compared to 4,188,170 (60 kg) bags worth US $490.41 million in FY 2016/17, the report says. During the month of June 2018, the East African Community remained the major destination for Uganda’s exports accounting for 46.3 per cent of total exports, followed by the Rest of Africa (18.6 per cent), and the European Union (14.2 per cent). Exports to the EAC region grew by 28.1 per cent from US $107.10 million in June 2017 to US $137.24 million in June 2018. Exports to all EAC Partner States registered increases except Burundi. Merchandise worth US $486.98 million was imported during the month of June 2018, registering an increase of 7.4 per cent from the previous month, the report says. And attributes the increase majorly to a rise in the value of government imports, which more than doubled during the month. Higher import volumes during the month (up 6 per cent), contributed to the increase in the value of imports, according to the Bank of Uganda. “The value of merchandise imports in June 2018 was higher by US $52.5 million compared to the same period the previous year,” the report says, attributing the increase to mainly a 17.4 per cent increase in private sector imports that more than offset the 37.6 per cent decline in government imports. The hike in oil prices and higher import volumes10 contributed to the increase in the value of private sector imports. Asia remained the biggest source of imports, contributing 39 per cent of the total merchandise imported in June, 2018. Middle East and EAC contributed 24 per cent and 14 per cent of the total imports respectively, making them the second and third largest sources. Of the imports from Asia, 75 per cent were sourced from India, China and Japan while Kenya and Tanzania contributed 90 percent of the imports sourced from EAC.